The SUNON company, a world leader in cooling technology, in response to demands of the modern market, developed an AC fan using Vapo bearing type. The use of this type of bearing reduces noise level, improves high temperatures resistance, extends life and reduces the power consumption by half. 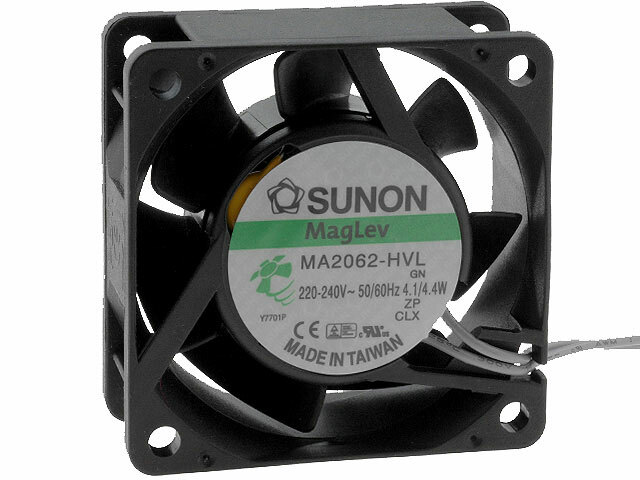 MA2062HVLfan, just like other AC series fans, is available with the option of monitoring and detection of rotational speed, and thermal cut-off, thanks to which the product life is increased, and equipment operation continuous control is possible. The aforementioned features make SUNON AC fans the leading products in the market. One of the AC fans series is MA2062HVLmodel.